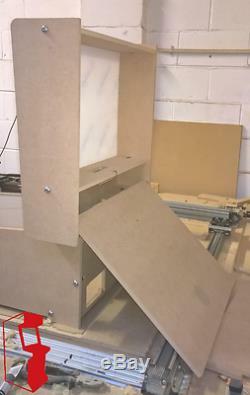 24 Mini Pinball Cabinet Flat Pack Kit (Includes T-Moulding Slots and Perspex). 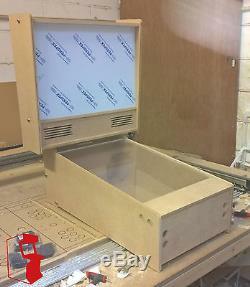 Includes T-Mould Slot and Perspex Screens. A quality Mini Pinball Machine Flat Pack Kit suitable for PC, easily transportable. Integrated dual hinged doors allows easy access to base exlectronics and rear panel. Price includes T-Slot (currently not shown in pics). Holes for plunger and flipper operation. 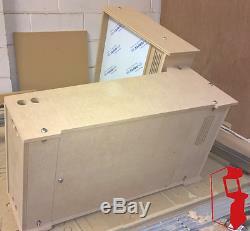 Fits 24" Monitor for Playfield and 20" monitor for back panel. Easy to assemble includes all fastenings (Marine grade stainless steel). 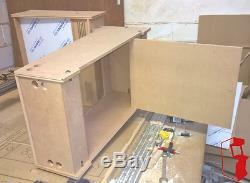 Double grilled front panel for speaker mounting. 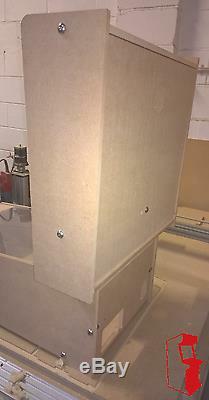 Includes Vesa standard mounting panels predrilled to mount your monitors both standards included. Includes pre cut mounting and fastening holes for standard PC power supply. Integrated slots for 5mm Perspex screens (Both Included included in the Price). Fits through standard door frames and is easy to transport. What size and length of T-Moulding is required for this kit? For this Kit you will need a total of 6.5M of 1/2 or 12mm T Moulding. What size buttons will fit this Kit? The Kit is designed for 28mm buttons which is the most common button size, if you require an alternative size e.
What if I want an alternative button layout? What type of system will this Kit support? This Kit is suitable for PC. Which courier and service do you use? Please NOTE: this Kit is dispatched as two parcels and even though they are dispatched together the two parcels may be delivered by two seperate vans (strange but true). Can I collect my order? We are always happy to meet or speak to our customers, collection is available 7 days a week at a time to suit you with free Tea and Coffee available (and possibly a biscuit and a chat). Stuck on wiring, component choice, fitment, painting etc. Message for help, our advice and assistance is Free and always will be. The item "24 Mini Virtual Pinball Flat Pack Kit (Virtual Pinball, Vpin, Virtual Pin)" is in sale since Wednesday, June 28, 2017. This item is in the category "Video Games & Consoles\Coin-Operated Gaming\Pinball Machines". 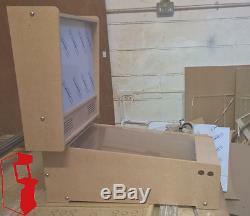 The seller is "arcade_flat_pack" and is located in Rossendale.